The GST e-way bill framework for the movement of commodities between states was actualized on April 1, 2018. This bill is essentially a document that must compulsorily be carried by anyone who regulates a movement of commodities whose value is over Rs.50,000. Section 68 of the Goods and Services Tax Act contains the provisions of the requirement. It is mandatory for all consignors/consignees/transporters to be aware of the required compliance. Use your GST identification number to register on the e-way bill portal. Click on ‘Registration’ on the portal. Select e-way bill registration’ before entering your GST identification number. Your registered mobile number will receive a one-time password from the system. Once the authentication is complete, you can generate your e-way bill system username. Once your username is generated, you can set a password of your choice and then go on to make entries for the generation of the e-way bill. Click on ‘Registration’ on ewaybillgst.gov.in. Enter all the required details on the form before clicking on ‘Submit’. Your transporter ID and user credentials will be generated by the portal. The ID can be shared with clients. Now e-way bill generation requirement will be going to hit your business. 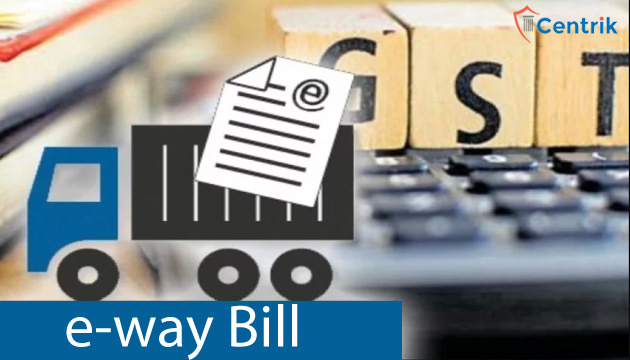 Hope this article helps you, in understanding better, the procedure of generating an e-way bill.